You can almost hear the violinists playing as you enter the “Venice of America”— Greater Fort Lauderdale’s sophisticated and harmonious system of waterways bobbing with mega-yachts and cruisers exploring the crystalline waters. There is so much to mined in this South Florida oasis, which is marked by tropical golden beaches, cultural and historical arts, attractions, world-class golf and unlimited on- and off-water adventures—much to get those creative juices and impulses flowing. Get onboard the booming Fort Lauderdale boating lifestyle by renting a boat, taking a sightseeing cruise, or hopping aboard a water taxi to destinations like Hollywood where you can ante up at the game tables of casinos like the Seminole Hard Rock Casino. The Greater Fort Lauderdale area has numerous options for gamers ready to wage their luck. Such endearing attractions, splendid year-round weather, scenic beaches, subtropical enticing year-round climate and intriguing, upscale modern destination marvels every travel personality’s interests around every corner. So close to Miami and the tranquil sides of life like Key Biscayne, Fort Lauderdale draws tens of thousands leisure travelers year-round for its glorious sunshine, splendid atmosphere and year-round temperate climate, as well as northern winter birds, spring breakers, romantic couples and also celebrities alike for decades, though it’s a far cry from its raucous 1961-mid-80’s spring-break reputation. This cleaned up, modernized and glamorized Fort Lauderdale area is budding with upscale stores and flourishing with international gourmet to casual cuisine as one of the top destinations in the world—Port Everglades alone is a top stop to more than 35 cruise ships and the Navy. There’s so much to do on land, one mustn’t ever feel like a fish out of water. Greater Fort Lauderdale is the cornerstone of South Florida and a must-do for every traveler. 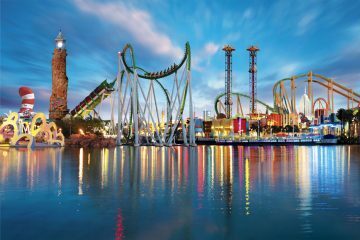 It’s only about 3 ½ to 4 hours from Orlando, the them park destination of the world. Ask our travel representative about customized packages with multi-destination vacations. Numerous attractions are just minutes away from the beach like downtown’s Riverwalk Arts and Entertainment District and the famed Las Olas Blvd, the social centerpiece of Fort Lauderdale on land. For those fish who want to jump out of the water, there’s so much more to do in Fort Lauderdale, which is full of many riches and discoverable treasures for intrigued explorers. Just minutes away from the beach is downtown’s Lauderdale’s Riverwalk Arts and Entertainment District, a brick-lined meandering promenade with shops, parks, restaurants and cultural attractions like the Broward Center for the Performing Arts, Museum of Discovery and Science with its AutoNation 3D IMAX Theater, Florida Grand Opera, Fort Lauderdale Historical Center, Stranahan House and the Museum of Art. Las Olas Blvd. is one of the most architecturally unique, authentic, and eclectic shopping and dining districts, with more than 30 alfresco dining options, 10 international art galleries, two world-class museums and 65 unique boutiques filled with runway-style fashions, accessories and gifts. 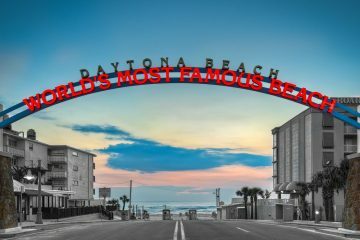 There are numerous art galleries, historical landmarks, vibrant night clubs, state parks and gardens, multiple rentals for exploring to please every traveling personality. 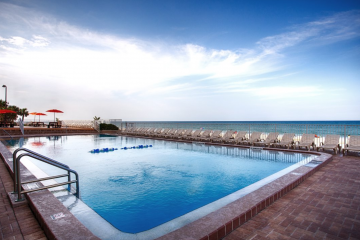 Families and cohabitating couples can have their dream-come-true vacation in Fort Lauderdale. 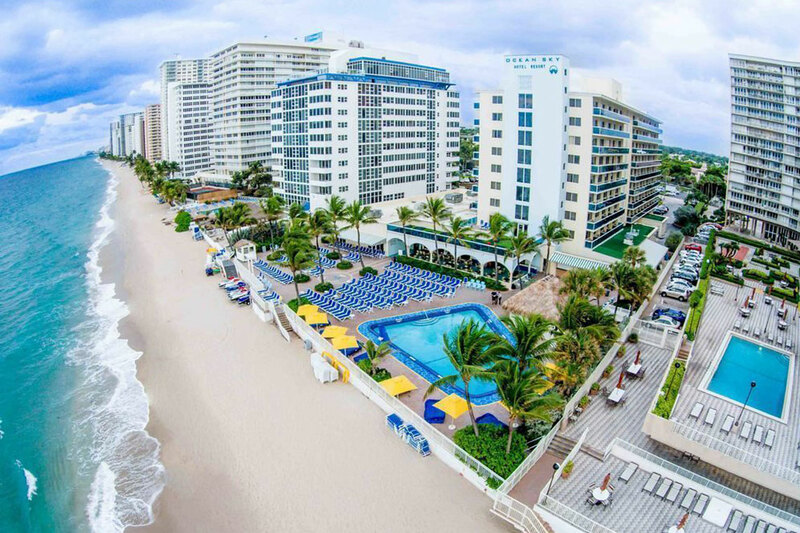 Be sure to visit our Fort Lauderale Must-Do Activities page for a sampling of many exciting activities that give you a tremendous idea of what all you can do in fabulous Fort Lauderdale.